This entry was posted in Bookstore, Writing and tagged Adventures in Sci-Fi Publishing, Amazon, Book review, book reviews, books, CreateSpace, ebooks, ePub, Indie Publishing, POD, Print On Demand, Sci-Fi, science fiction, self publishing, smashwords, Writing. Bookmark the permalink. 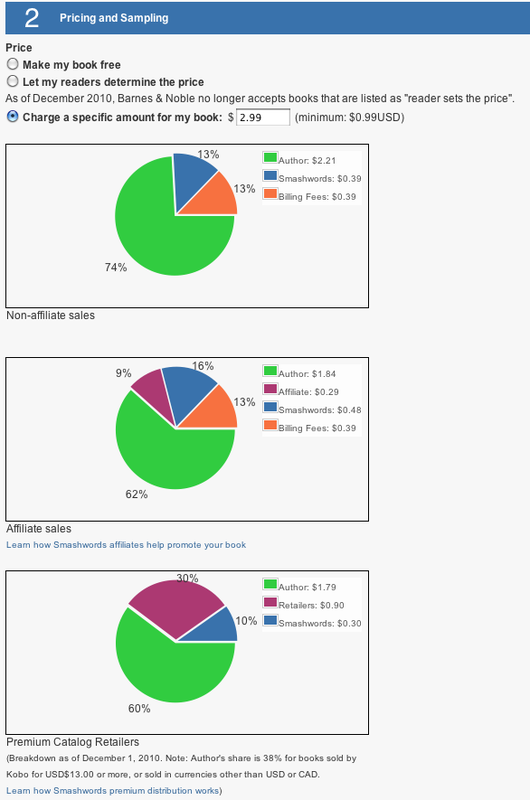 I’ve heard that Smashwords is easier than Amazon. They take less of a royalty bite, too. Of course, they don’t have the monster distribution platform…. Bookbaby is another one I’ve heard encouraging things about. They also convert your .DOC file with cover art into an epub document and distribute it to major the major outlets – Apple iBooks, Kindle, Nook, Sony Reader, Kobo, and Copia. They charge no royalties, but there is a yearly maintenance fee. Good luck, Mr. Garnell. Keep at it!